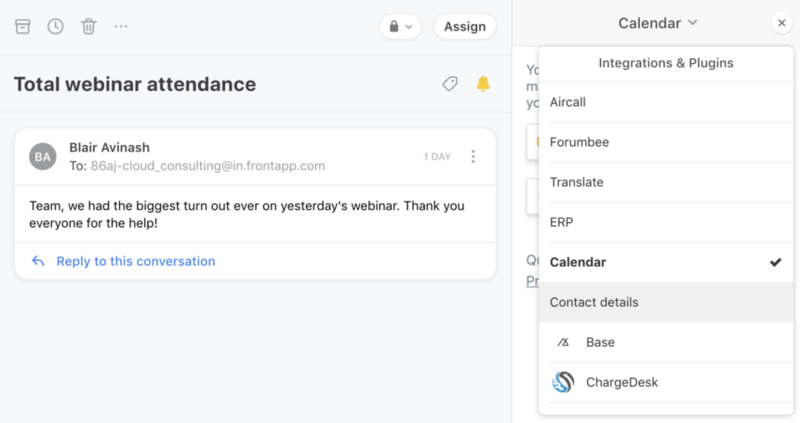 Front transforms your inbox into your command center where you get work done, so it makes sense to connect it with the other apps you rely on. 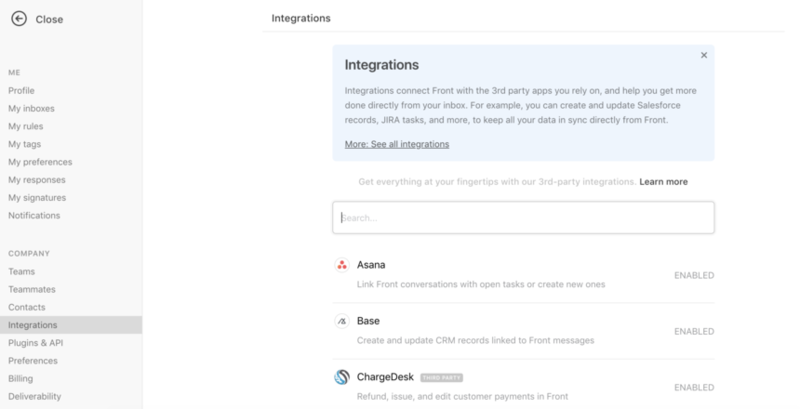 Front integrates with dozens of tools right out of the box. Some of our most popular integrations are CRMs like Salesforce or Pipedrive, which allow you to log activities and update opportunities without needing to switch back and forth between tools. 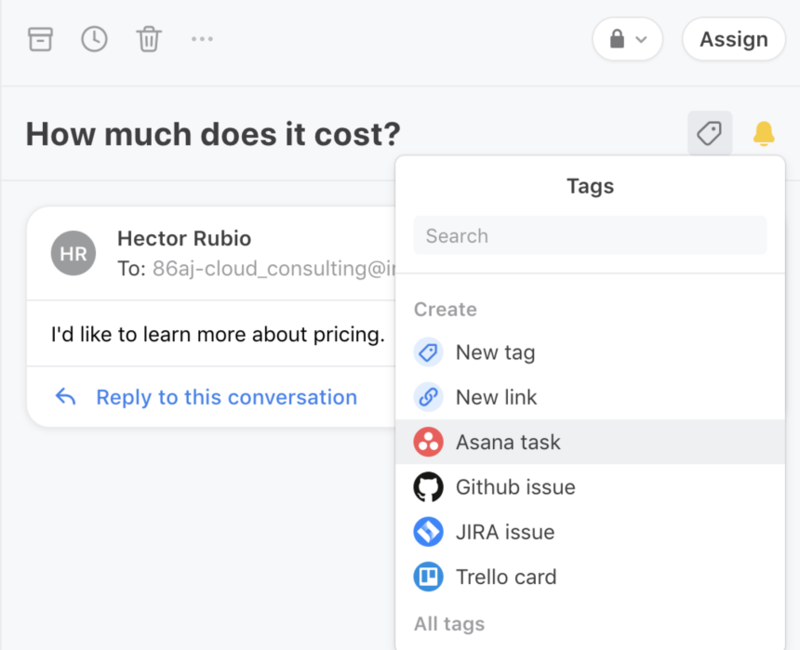 Connecting a project management app like JIRA, Asana, Trello, or GitHub is also popular, so you can create or update tasks from any message. Front gives you access to your favorite apps right from your inbox! On the Basic plan, you have access to one native Front integration (you'll see other integrations labeled "Third Party"). On the Premium plan, you can use as many integrations as you'd like, except for the Salesforce integration. On the Enterprise plan, you will be able to enable as many integrations as you'd like, including the Salesforce integration. Open Settings, then click on Integrations. Select the integration from the list, and click Enable integration. Depending on the integration, you may get routed to another page for further instructions, or be prompted to sign in to the integration to activate it for your team. Once enabled, your team will be able to see and use the integration in Front after they sign into the integration for the first time. Admins and teammates can use integrations in Front once a company admin has enabled the integration. There are three places to find integrations: the tag menu, the integrations panel, and integration channels. When you click the tag icon on a message, you can do more than just tag! When you enable project management integrations like Asana, Github, JIRA, and Trello, you'll access them here too. You'll be able to link the open message with an existing task or issue in these apps, or create a new one. There is a third type of integration called an integration channel, where you can send or receive messages through that app in Front. These are set up in Front from your integration settings in the partner app, like the Chatra integration. 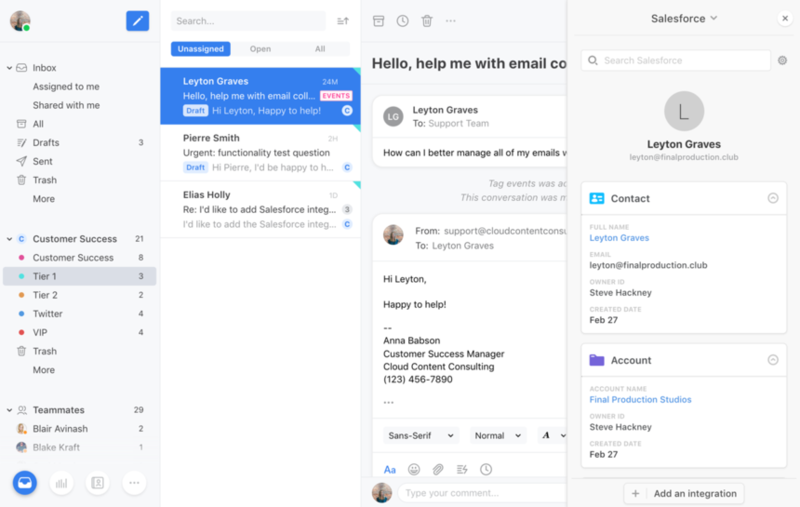 For example, the Aircall integration logs your call activity and voicemails in an inbox in Front as messages for follow up, or the Delighted integration will sync all your NPS surveys as messages in Front for you to reply. 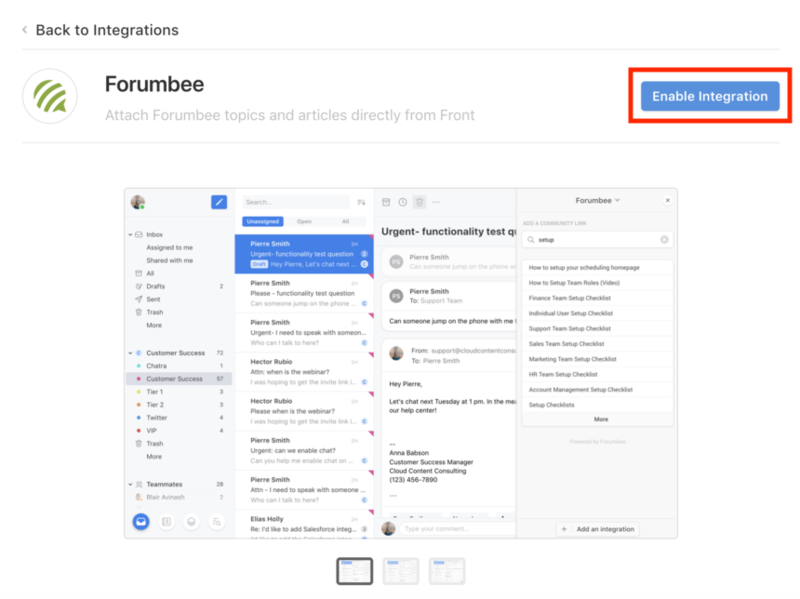 You can organize integration channels into any team inbox, like a "Support" inbox for your support@ email channel and Aircall calls, or you can create a separate inbox for each integration channel. After a company admin enables the integration, teammates may need to sign in with their individual credentials for that integration the first time they use it. This will sync the data from the third-party app into Front. Once signed in, teammates will have access to the data in the integration!